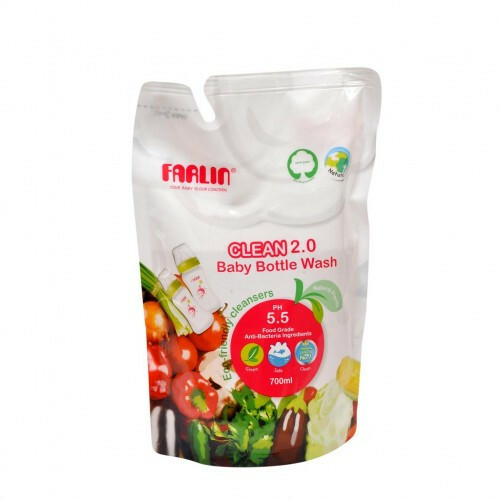 Farlin’s Eco Friendly Baby Liquid Cleanser is mild, natural, eco – friendly, FDA and ECOCERT certified. You can wash almost anything with it. It is suitable for washing your baby’s feeding bottle, pacifier, gum soother, table ware, fruits, vegetables and septic tanks to name a few. The liquid cleanser is gentle on your hands and very effective in removing stains.